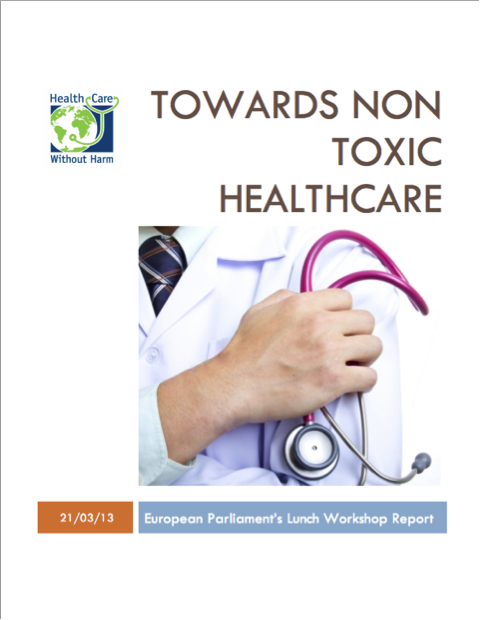 Final report of the lunch seminar organised by HCWH Europe in the European Parliament to raise awareness amongst policy makers on the hazard of Endocrine Disrupting Chemicals (EDCs) and Carcinogenic and Mutagenic Chemicals (CMRs) contained in medical devices. 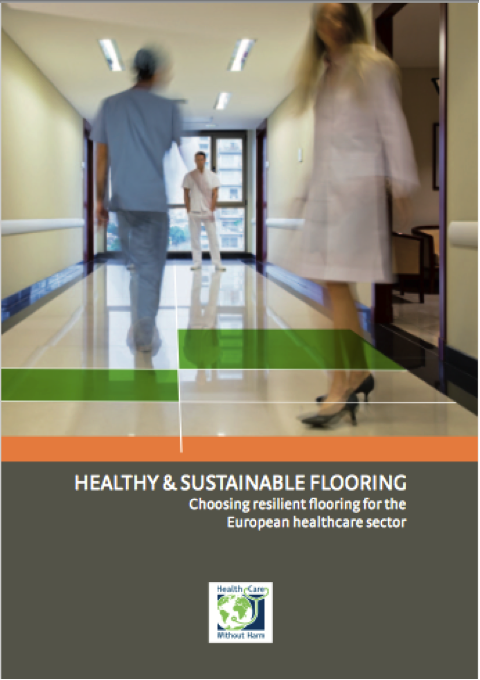 Enabling decision-makers in healthcare to set decision criteria for choosing resilient flooring in European Hospitals. 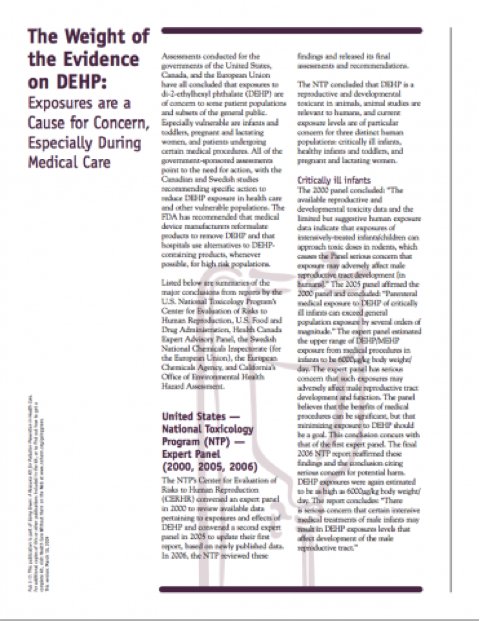 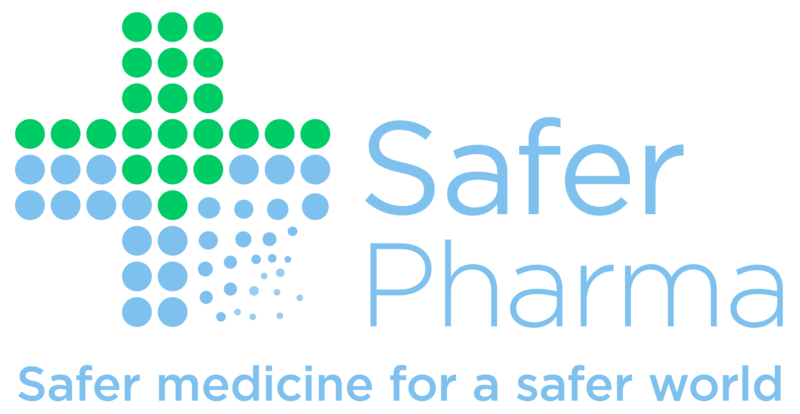 Several government assessments conclude that DEHP exposure is of concern to some patient populations, especially the vulnerable. 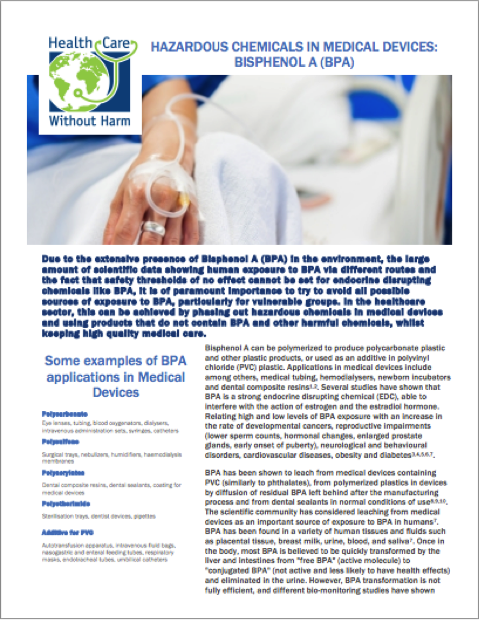 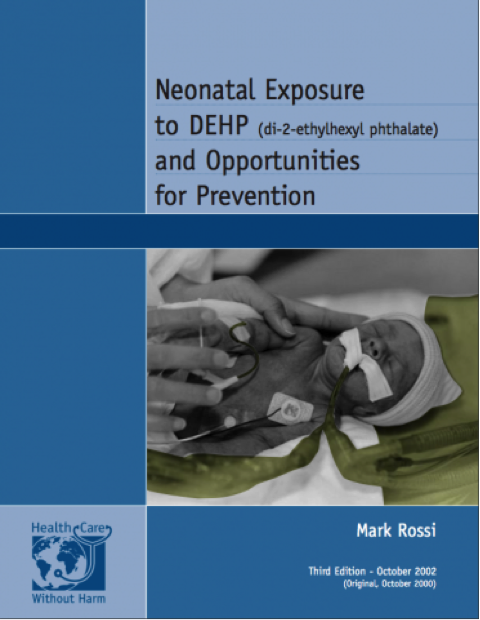 Some studies recommend specific action to reduce DEHP exposure in healthcare. 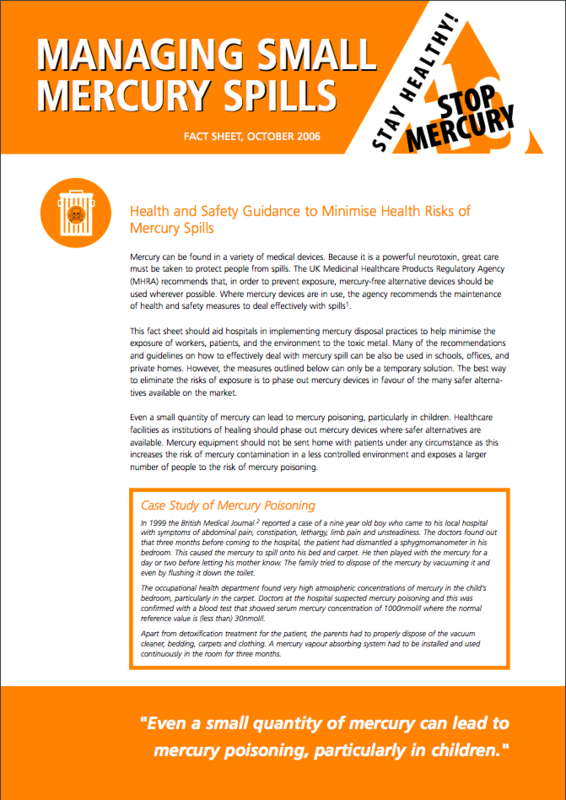 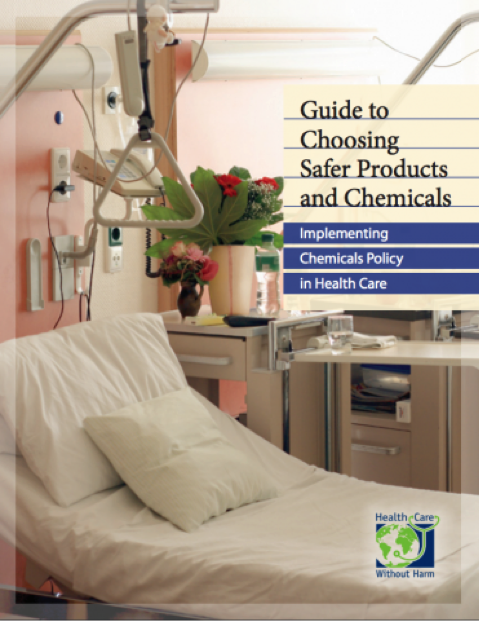 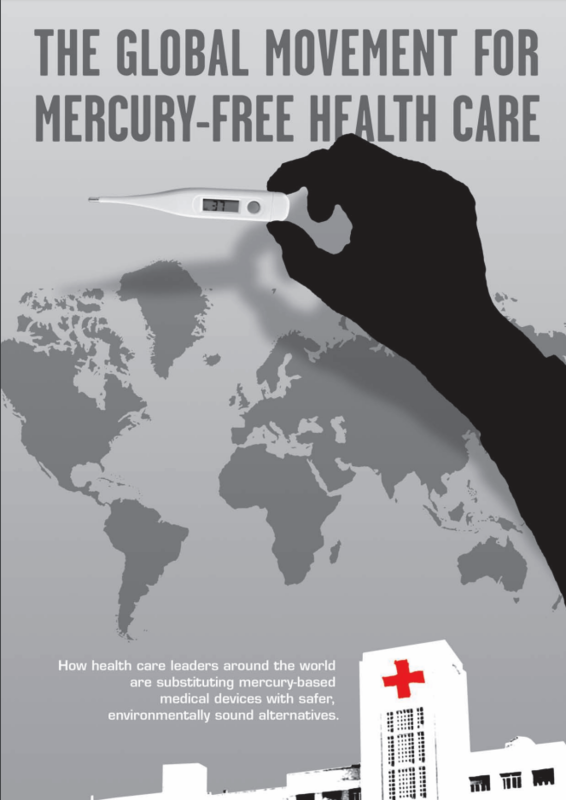 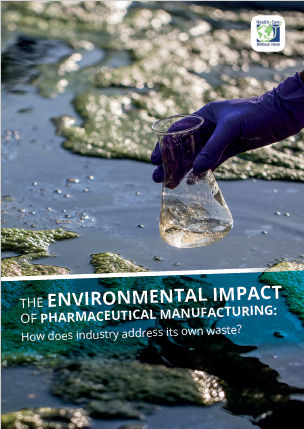 How to: make and implement a comprehensive chemicals policy in healthcare, eliminate the use of toxic chemicals, create safer workplaces, ecosystems, and communities, and reduce long term costs and liabilities. 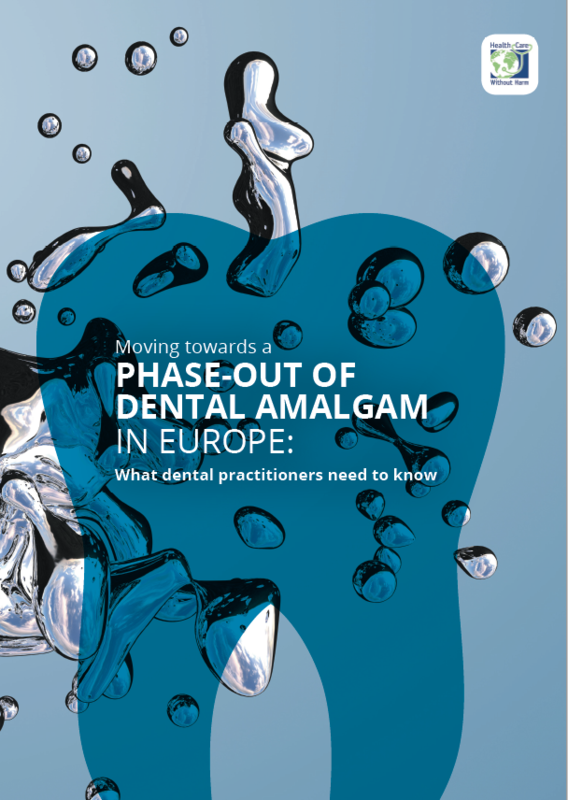 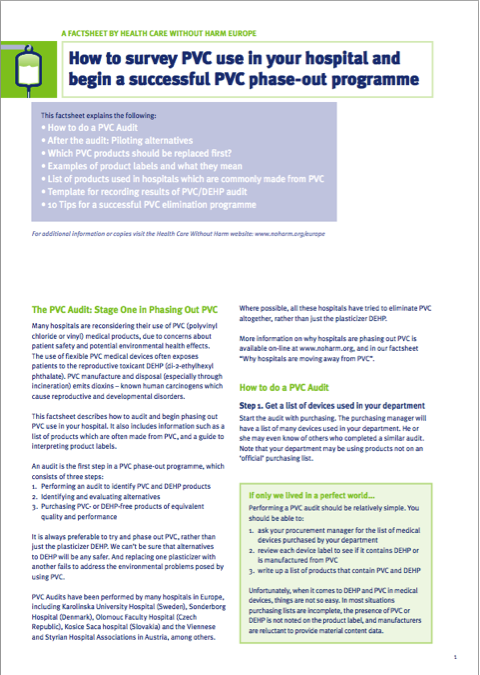 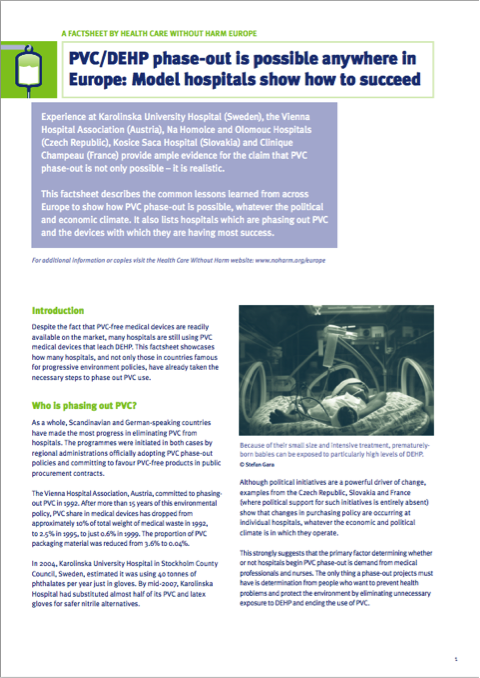 This factsheet describes the common lessons learned from across Europe to show how PVC phase-out is possible, whatever the political and economic climate. 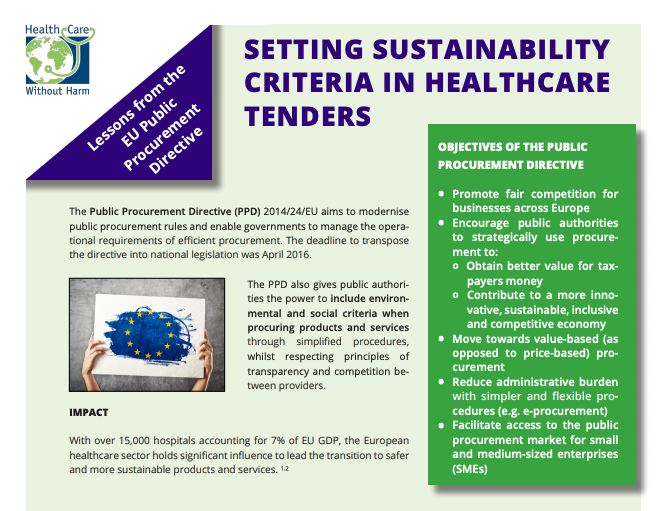 It also lists hospitals which are phasing out PVC and the devices with which they are having most success. 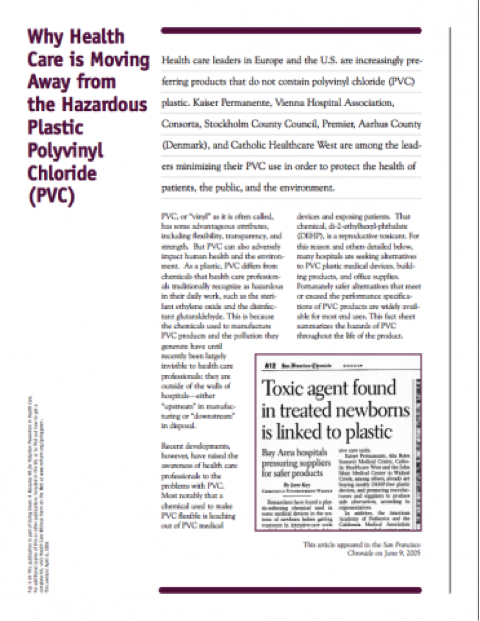 PVC or “vinyl” can adversely impact human health and the environment, the reproductive toxicant DEHP is used to make it flexible, but it leaches out of PVC medical devices, exposing patients. 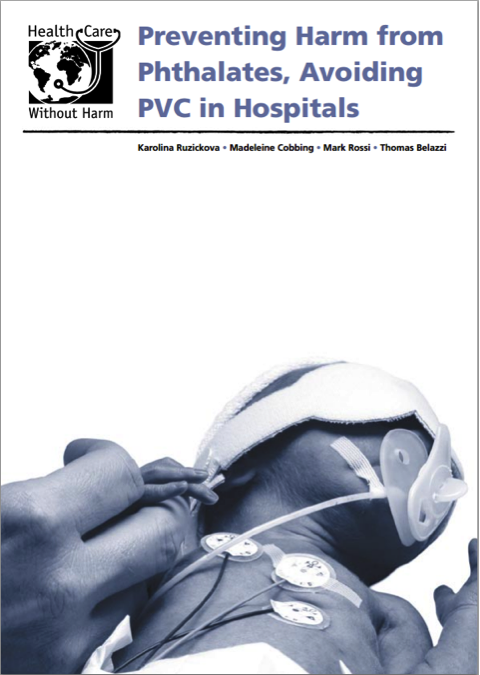 Many hospitals now seek alternatives to PVC. 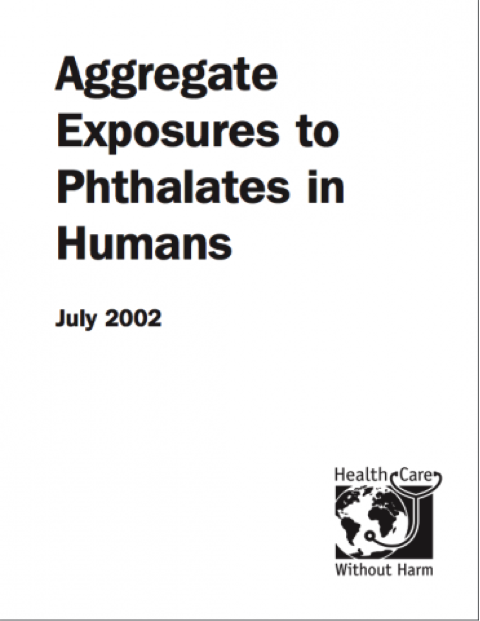 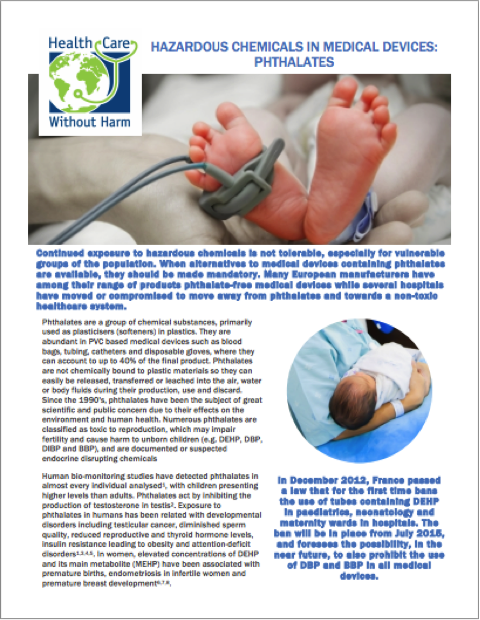 Across the European Union hospital patients are unnecessarily being exposed to the phthalate DEHP from PVC medical devices. 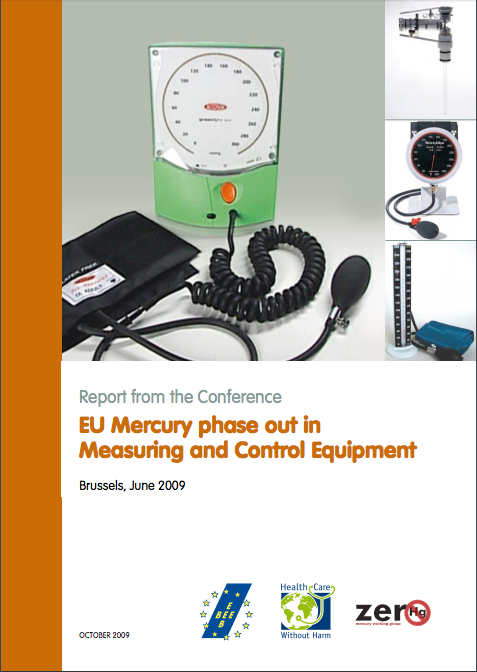 In 2004, HCWH tested 48 common medical devices used in European hospitals for the presence of DEHP. 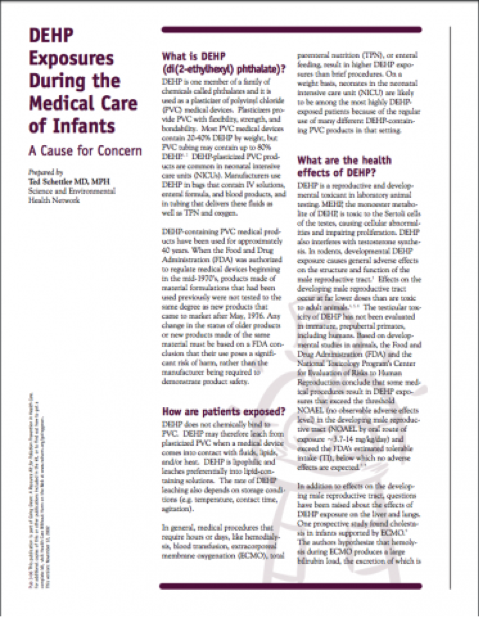 39 out of 48 products contained between 17%-41% DEHP by weight.